Is there a more joyous, celebratory sound than the pop of a Champagne cork? Whether toasting to one of life's milestones or perking up a random Tuesday, a bottle of bubbly has that magic ability to brighten every occasion. 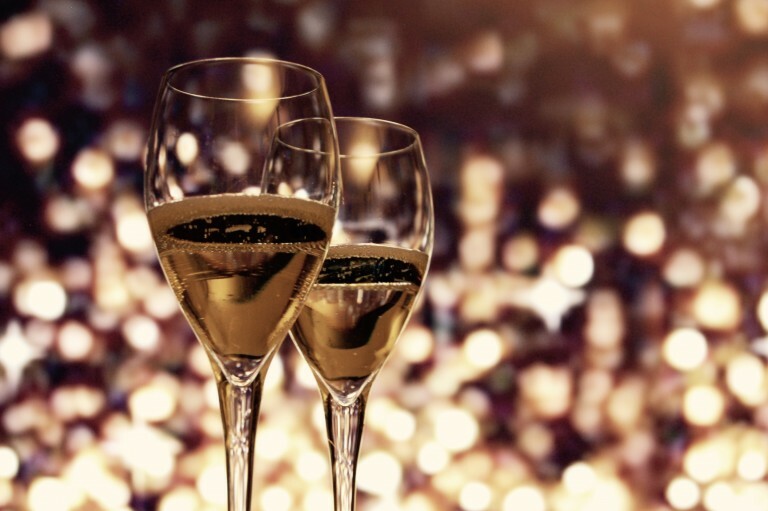 On New Year's Eve, when the clock strikes midnight, it's nearly obligatory to a glass of something sparkly. The question is, what to pour? These days there are so many options it's possible to find a good bottle at any price point. While the grand marques of Champagne still dominate the wine store shelves, in recent years they've been joined by cava, prosecco, crémant, sekt, pét-nat, Franciacorta, Moscato d'Asti, and the ever-increasing number of grower Champagnes. So whether you're planning on a quiet night in for two or a swanky bash with lots of friends, here are a few recommendations to get the New Year off to a delicious start. What's a nice bottle of méthode Champenoise doing in a place like New Mexico? Yes, New Mexico. When Champagne native Gilbert Gruet went looking for a place in the U.S. to make sparkling wine, he discovered ideal terroir near the town of Truth or Consequences, 100 miles south of Albuquerque. The sandy soils at elevation mean hot days and cool nights, which help slow ripening and retain that all-important acidity. The winery was founded in 1984 and is now run by Gilbert's son Laurent, and daughter, Natalie, who've carried on using the traditional Champagne method with second fermentation in the bottle. The French pedigree shows in their wines, which have so much character and refinement it's hard to believe they're only $14. Their Blanc de Noir is blend of 75% Pinot Noir, 25% Chardonnay and appears as a light salmon color in the glass. It's bone dry with a lively stream of bubbles and notes of raspberry, apple, and pear with a toasty, mineral streak. Mix things up with a sparkling red from the Emilia-Romana region of Italy! Lambrusco has been making a comeback lately, and this dry frizzante from the region's oldest producer is a real charmer. Chiarli was founded in 1860 by Cleto Chiarli in Modena and is currently run by Cleto’s great great grandson Anslemo Chiarli and his wife, Beatrice. Made from Lambrusco di Grasparossa di Castelvetro (full bodied and tannic) in the Charmat method (second fermentation in a large tank), this deep purple wine froths to a lovely pink and gushes with red fruit (cherries, cranberry) and earthiness. 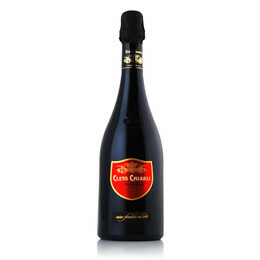 It would be a perfect accompaniment to charcuterie or hearty hors d'oeuvres, an excellent sipper for the early evening. Spain has long been a source of bubbles on the cheap, pouring out millions of bottles of so-so fizz every year. There are, however, a few quality-oriented producers who are changing the game. One such winemaker is Pepe Raventós, who's gone so far as leaving the Cava appellation and creating a new one, Conca Del Riu Anoia, with much stricter rules. On a vineyard that has been in his family since 1497, he grows mostly indigenous grapes using biodynamic methods. His L'Hereu Reserve is made with 45% Macabeo, 40% Xarello, and 15% Parellada. Second fermentation is in the bottle á la Champagne, followed by 18 months aging on the lees. A smooth and creamy mousse gives way to delicate citrus, apple and pear notes with a touch of toasted bread. Italians have a thing for fizz and the world is a happier place for it. While many of their other sparklers are considered lighthearted and fun, Franciacorta is where they get their método classico on. They been making Champagne-method sparkling wine in the Brescia region of Lombardy only since 1961, but from the beginning producers have focused on quality. One of the early pioneers was Vittorio Moretti, who in 1977 established Bellavista. Both vintage and non-vintage cuvées are made, but all have the house's signature style of understated elegance. They achieve this by maximizing their blending options. Each of their 107 parcels is vinified separately, 15% of which is fermented and aged 7 months in oak, and they maintain a healthy stock of reserve wines. The NV Cuvée Alma is their entry-level wine, but its quality and finesse are readily apparent. A blend of 80% Chardonnay, 19% Pinot Nero and 1% of Pinot Blanco sourced from 60 different selections, the wine is aged on the lees for four years before being disgorged, giving it a textural depth and chalky minerality. A definite crowd pleaser, it shows a surprisingly fine, delicate mousse with notes of ripe pear, golden delicious apple and green apple skin. There's not much this domaine can't do with Chenin Blanc. From bone dry to demi-sec, moëlleux to mousseux, the wines from this legendary Loire Valley producer rarely fail to delight. Although the Huet family is no longer involved, the same quality production methods continue: grapes are farmed biodynamically, hand harvested and fermented using indigenous yeast. Although Huet makes a fully sparkling mousseux (5.5kg of pressure), its pétillant (2.5-3kg) makes for a gentler, delicious alternative. It's made using the méthode ancestrale, with the first fermentation simply continuing inside the bottle. Chenin Blanc's energetic acidity is on full display here, but it is beautifully balanced by apple, pear, lemon and a hint of chalk. It's a tricky wine to make, but as usual, Huet gets it right. NV Bérêche et Fils Brut Reserve, 750 ml. $49. A rising star among the increasingly popular grower Champagnes is Bérêche et Fils. Although this domaine has been in business since 1847, like the thousands of other growers they simply sold their grapes to the big houses for their use in non-vintage blends. Only in recent decades has the family focused on producing their own wines. When brothers Raphaël and Vincent came on board in 2003 and 2008 respectively they turned to more natural methods, eschewing herbicides and pesticides and fermenting with ambient yeast. The results have catapulted them into the upper league of cult growers, such as Cédric Bouchard and Jérôme Prévost. Their range begins with this non-vintage cuvée, made of equal parts Pinot Noir, Pinot Meunier and Chardonnay, with 30% coming from reserve wines. A portion (60%) is vinified in oak, followed by 24 months on lees. It's a vivacious wine that seamlessly integrates pure, ripe apple, quince, and almonds with a lovely minerality. In Champagne years, this negoçiant-manipulant is a relative newcomer. Founded in 1981 when Paillard was a fearless 28-year-old, the house has since earned a reputation for producing remarkable wines with great richness and finesse. The house now owns 32 hectares of vineyards (12 of which are grand cru), enough to cover half of production, while the rest comes from the same growers he's been buying from since the 1980s. Paillard's brut rosé is made with 85% Pinot Noir (some pressed to white, some vinified as red) blended with Chardonnay and spends three years ageing before disgorgement. 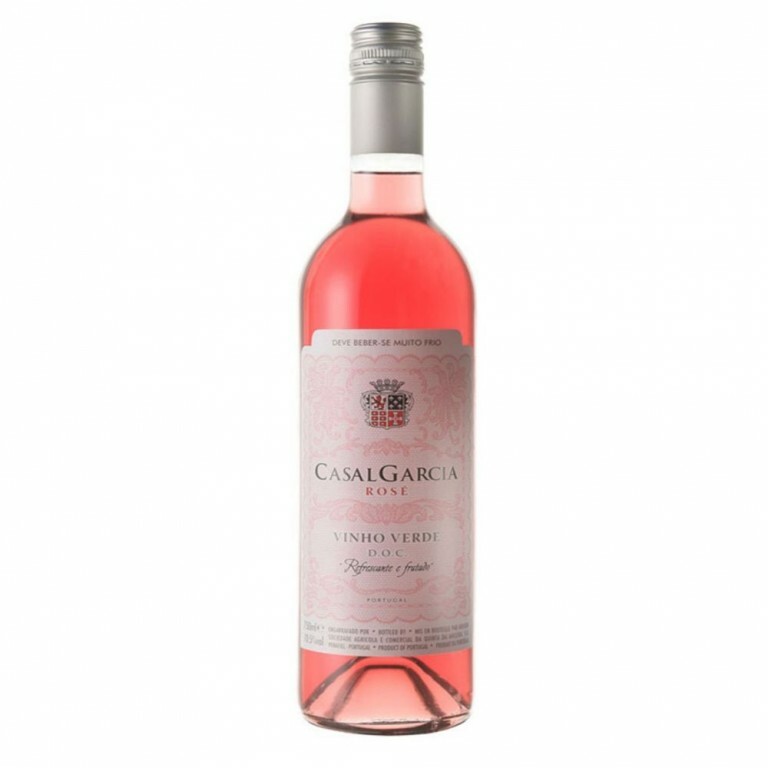 It's a rich, luxurious wine with a lovely pale copper color, fine, delicate mousse and deep concentration of ripe red fruits—raspberry, cherry, and strawberry. At $135 a bottle it's hard to think of this Champagne as a steal, but consider this: it's a vintage Blanc de Blanc made from 45 to 80-year-old Chardonnay vines from one of the top vineyards in all of Champagne and is often compared to Salon and Krug Le Mesnil, which are both exponentially more expensive. The Peters family has been making Champagne since 1919, sourcing their grapes from their own vineyards—18 hectares of Chardonnay—mainly located in the communes of Mesnil sur Oger, Oger, Avize and Cramant. This stunningly precise wine is their top-of-the-line cuvée and comes from three plots in the Les Chêtillons vineyard located in Le Mesnil sur Oger. Each parcel is vinified separately in stainless steel then blended for a single vineyard vintage. Mesnil's chalky soil shines through with a silky streak of minerality. It's a bright, powerful wine with a fine, delicate mousse and notes of apples, almonds, brioche and lemon. Simply gorgeous.